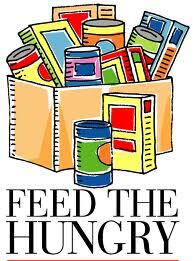 Besides our Mission where we offer the soup kitchen (around 8:30-9:30 breakfast mon-fri and 12-1pm lunch every day) and the food pantry on weekdays (8:30-1:30) , we also have many other fine organizations offering food in the Grant County area. Food pantry is on the first Saturday of each month from 10am-12pm and on the last Wednesday of each month from 4pm-6pm. They also offer mobile food pantries in Santa Clara and Gila and assist with food for seniors and children. Food pantry is every Monday at 4pm. They also provide cash assistance for rent, utilities, bus passes and prescription drugs. Mobile Food Pantry second Wednesday of each month from 12 pm-2pm. Their food pantry is open Mon-Thurs 9 am-11:30 am and 1 pm-4 pm. They take applications to help with utilities on Tuesdays from 1 pm-2 pm. Lunch Monday through Friday from 11:30am-1pm for $2.25 for seniors. Reservations in advance preferred. They also have a Meals on Wheels program available for homebound Seniors. Free lunches available for children 1-18 years old. Adult meal cost is $2.50. Lunches are served at Gough Park, Public Library, Recreation Center, Stout Cafeteria, Virginia Street Park Community Garden and Tyrone between the hours of about 11 a.m. and 1 p.m. Starting about June 2nd and running until about July 25th. Also free breakfast is served at the Recreation Center and Stout Cafeteria. Coupons for food for those with infants (milk, cheese, eggs, beans, cereal, frozen juice and baby formula). They also provide nutrition education, information on breastfeeding and have breast pumps available for loan. Times and dates for all programs are subject to change. Please call each organization for specific details and qualifications. Here is a complete list of Grant County Resources and Senior Resources, courtesy of the Grant County Health Council. … And courtesy of Michele Giese from the Health Department, here is a small printable card handout for other resources in Grant County that you can print out and hand out to the homeless or others who may need your help. Share the post "Other Food Resources In The Silver City Area"